Lately we've been searching the internet for new and interesting ways to add to our decor that doesn't cost alot but makes a big difference and a lasting impression on our customers. 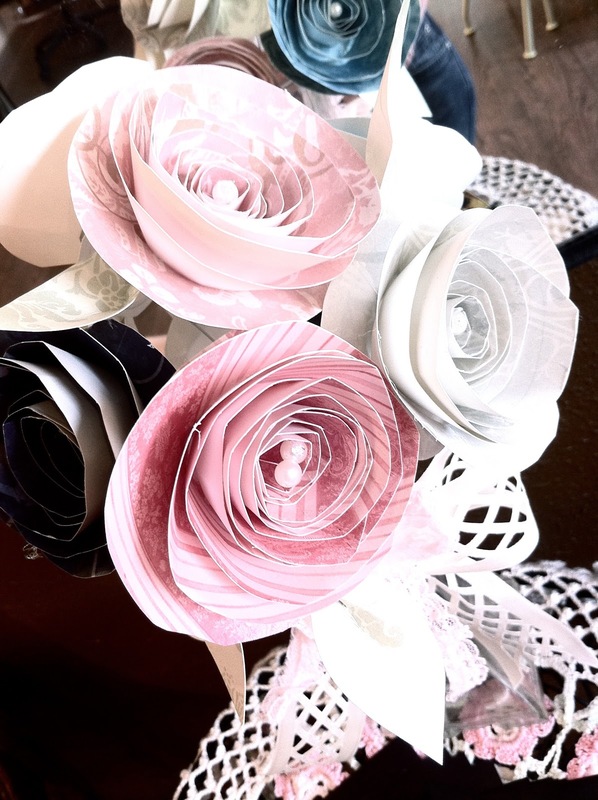 One small decoration i found is rolled paper flowers. They are really simple but they dress up a small area. Here's where I found it. This website is full of amazing decor ideas and tutorials for different things you can make. 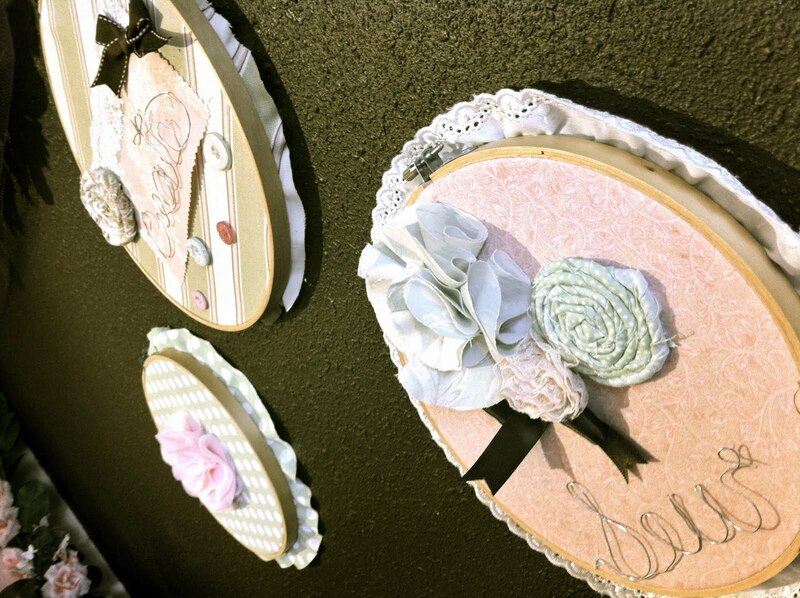 Another little element we added to our walls was the decorated embroidery hoops. We've had the plain hoops sitting around for a long time and finally decided to look for things we could use them for. There were lots of websites full of different ways you could decorate them. Here's how we did it. 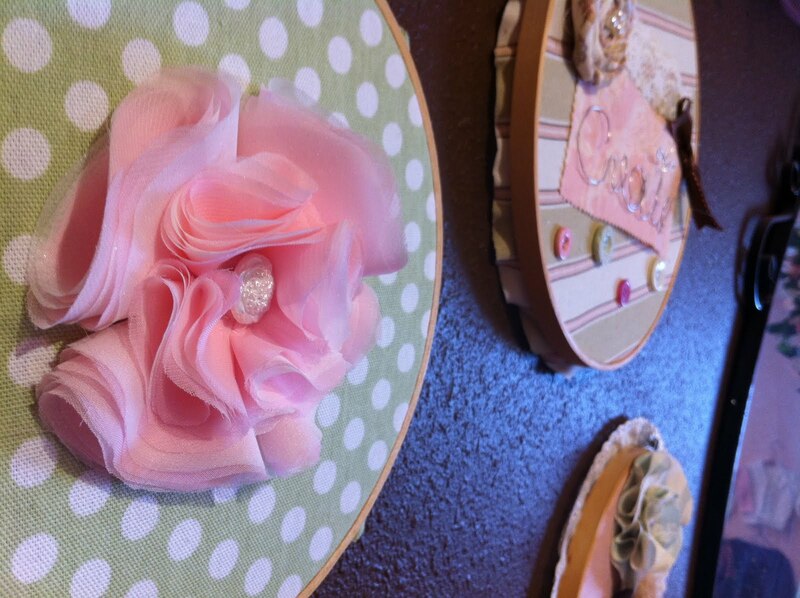 We put fabric in them and then found out how to make fabric flowers and added them with other embellishments. 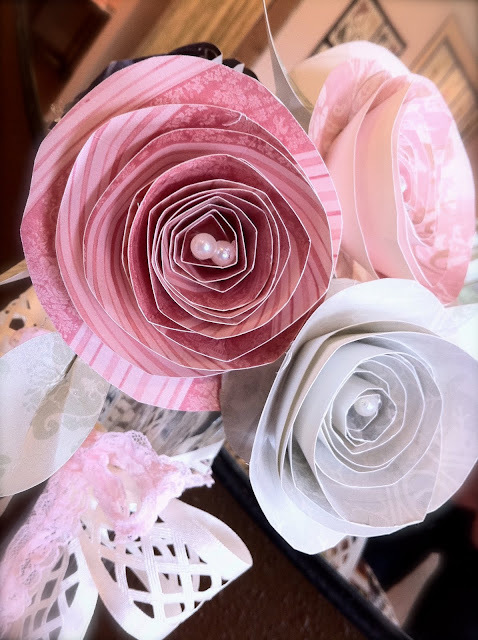 The Jones Design Company also has tutorials for these kind of flowers. 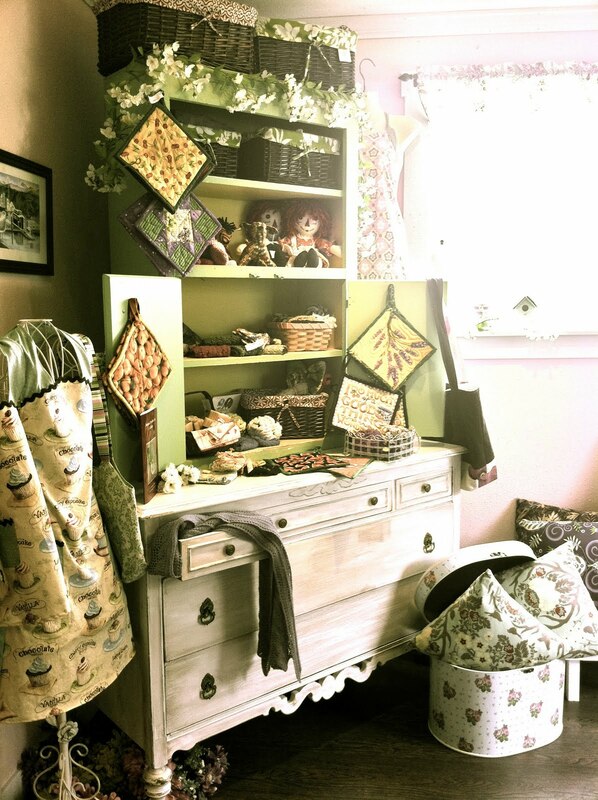 Today we got this dresser which, you can obviously see is our favorite style; shabby chic! We put the green shelf on top to create a hutch and there you have it, a great display area. We are using the dresser drawers for much needed storage. One other website I wanted to share with you is called Pinterest. It is full of pictures and pictures of decor, fashion, gardening ect... that you can add to your board and easily refer back to. You basically just type in anything you want for example "dresser displays" and it comes up with loads of pictures to help you with your decor. I found it really helpful! It also leads you back to the original source (usually blogs) of the pictures so you can usually find out how exactly its done. Very nice-even Kevin was impressed. That dresser looks like a great find! very nice girls. 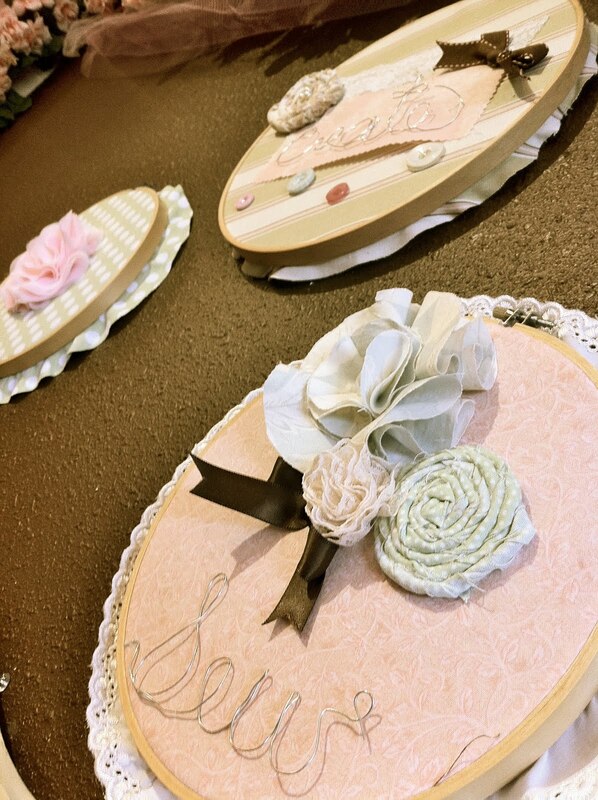 it is also very craft inspiring. thank you and good job.